Civic Engagement 101 is a new initiative intended to help our constituents learn how to be civically engaged! We understand the topic in itself can be challenging due to the vast amount of information, leading constituents to feel discouraged or afraid to participate in civic space for any reason. 1. Our definition of civic engagement. Civic engagement is not limited to politics and that anyone can and is encouraged to be civically engaged! 2. 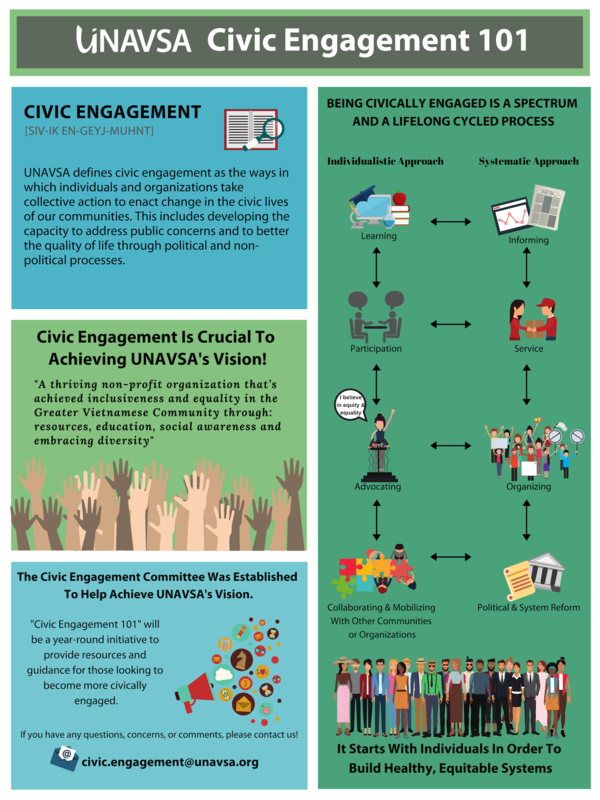 Recognize that civic engagement is a spectrum and a lifelong process that is cycled.